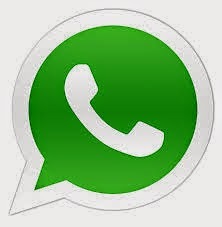 WhatsApp is becoming popular day by day. There are 70 crore WhatApp users and above three thousand crore messages are transferring through WhatsApp every day and the count increases. Many people are using WhatsApp for transferring messages, videos and photos than conventional messaging platforms but unfortunately WhatsApp is not secure at all. Here sharing some tips to make your WhatsApp account secure over hacking and misusing from strangers who operates your mobile for any reason or hackers who tries to access your account. By default, Anybody who can unlock your device can use your WhatsApp account, and, keep in mind that WhatsApp messages not only contains texts but videos and images too. Lock your WhatsApp account by password, pin or security pattern via secure and most rated App lock applications (there are lot of applications locking apps available on all platform). 2) Review the Privacy of your Profile Picture. By default, your WhatsApp profile picture is accessible for everyone who uses WhatsApp. That means anyone who have your mobile number can download your picture. 3) Think twice if you get messages from WhatsApp. WhatsApp communicates you only via Email. Never replay back if your get WhatsApp messages on behalf of WhatsApp company. 4) Always log out WhatsApp Web. WhatsApp has been introduced WhatsApp feature recently. You could read out article here about activating WhatsApp on PC. WhatsApp Web is still on beta and all security measures are not perfect on Web application. so it is important to logout always.